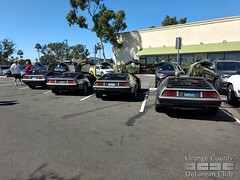 A ‘Last Minute Lunch’ yesterday turned into a great get-together, with SEVEN DeLorean owners, and FOUR DeLoreans! 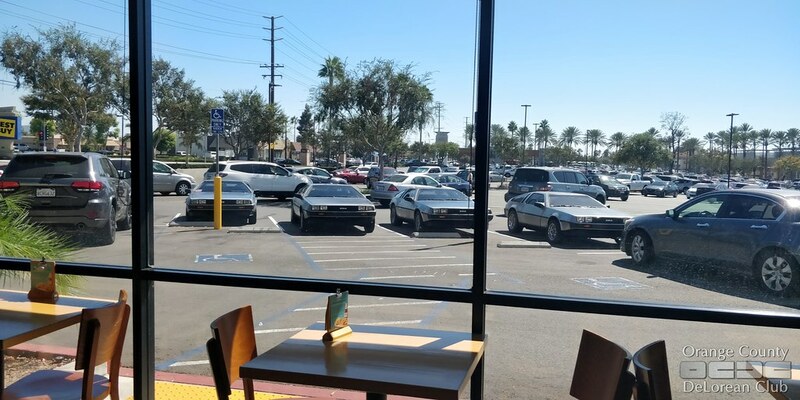 Jeffrey Bellinger, a DeLorean owner from San Diego, was coming up to Orange County on Saturday for lunch, so someone in the Orange County DeLorean Club suggested inviting other owners to join them. 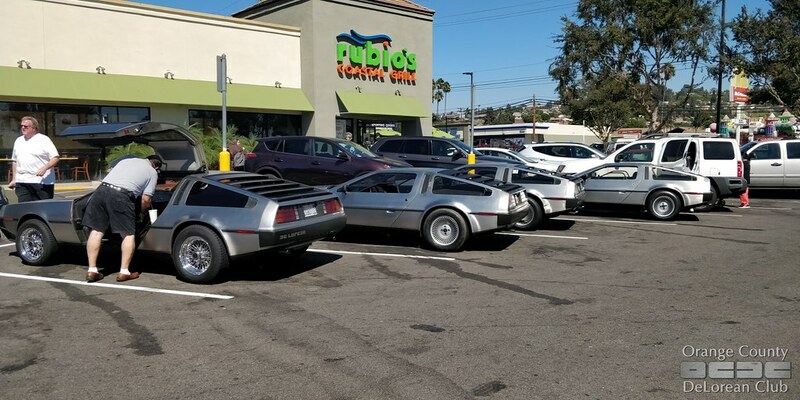 That was on Thursday evening. 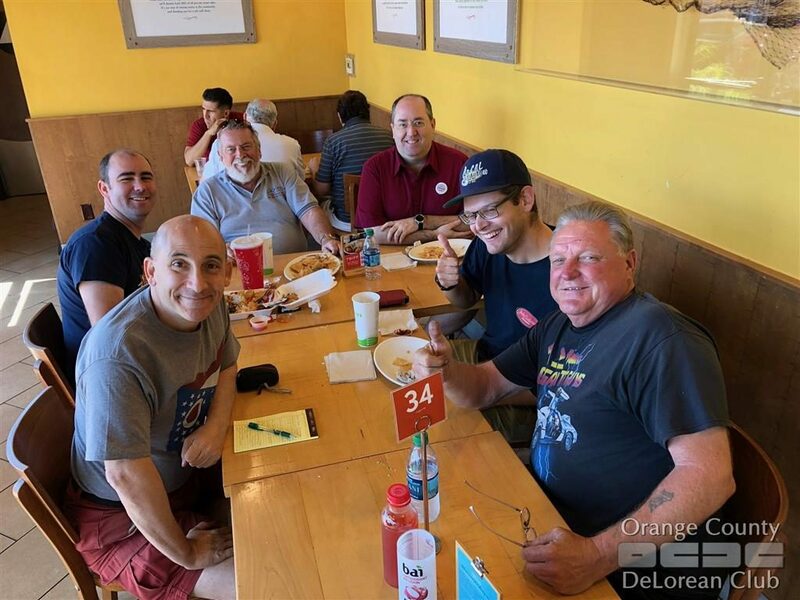 The hope was that one or two other people might stop by Rubio’s for a quick bite, but it turned into quite the ‘event.’ Lunch lasted over two hours, with tons of great conversation. 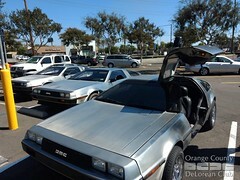 Not only was it a great surprise turnout, but we got to ‘introduce’ Jeffrey to the wonderful community of DeLorean owners. 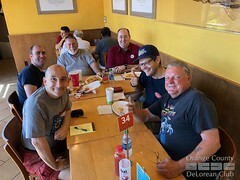 AND, we also got to welcome Don (a new local owner of just 3 days!) 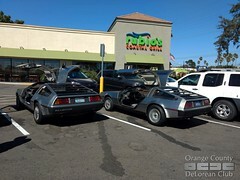 to the community as well! If you’re a DeLorean owner from outside the Orange County area – with or without your DeLorean – let someone know so that we can try to get together. And if you’re an owner IN the Orange County area and just want to get together, create an event in the private OC DeLorean Owners group on Facebook.